I also bought some giant bells from Primark - but quite what I'm doing with them, I'm not sure yet. Hopefully inspiration will strike soon. 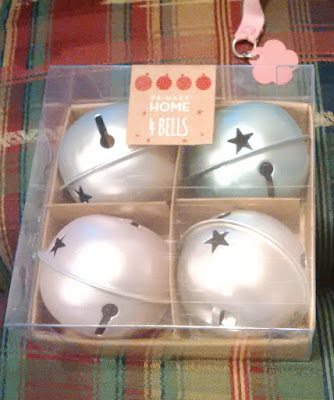 My friend has plans for one of the silver bells and I may just hang the rest on the tree. 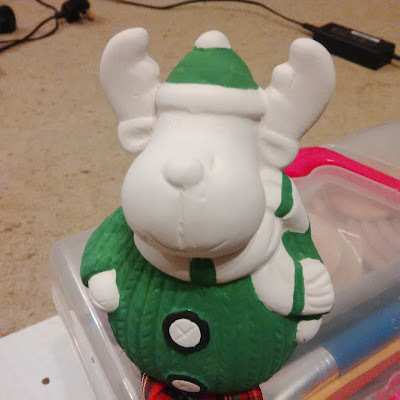 I have this little guy which I plan to paint and give to my mother. I started painting him this evening which went well until I realised I'd ran out of brown and red paint - but at least I've made a start. 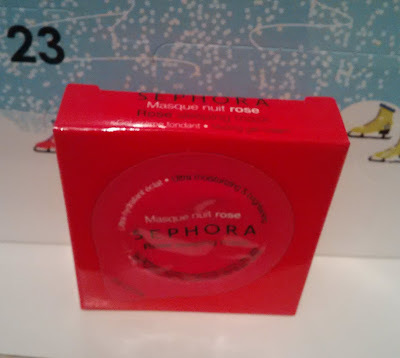 And finally, day 2 of the Sephora Advent Calendar. Today was a Rose Sleeping Mask. I'm really interested to see how this will work. I can't imagine sleeping with a mask on as I tend to face plant the pillow - I can't see it all ending well!! Plus rose scent - I do like rose as long as it's not too strong. 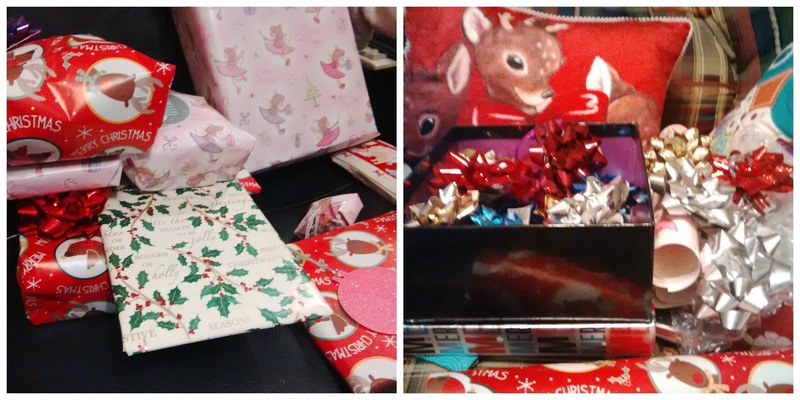 But to be on the safe this will probably be saved for a night away when I'm on my own. Tomorrow the plan is to visit the German Market in the city centre and watch Santa fly. I will try to photograph him if he stays still for long enough!